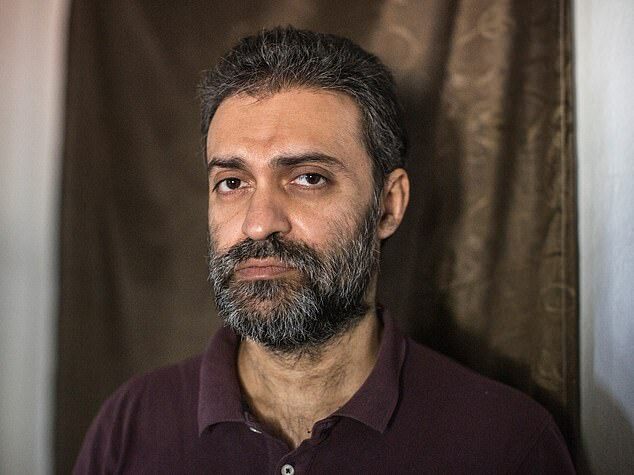 Muhammad Saqib Raza, 40, was captured by the Syrian Democratic Forces (SDF) in January attempting to smuggle himself out of the country and now he's begging his former patients to speak up for him as a form of payment. After he was captured, he told the SDF that he was not a fighter with Islamic State but worked as a medic in areas under the group's control. The surgeon, who has been locked up in a Kurdish 'hell hole' jail for over a year, has pleaded with British authorities to repatriate him to face trial in the UK. He told The Mirror that he is a 'victim of anti-terrorism terrorism' as the Home Office had done nothing to get the dual Pakistani-UK citizen back to the UK. The facial surgeon from Leicester, who worked in hospitals all over the country during his eight-year stint at the NHS, said that he treated his patients 'like family' when they wanted help. The doctor, who still owns a home in Leicester said the British government won't even give him a chance to 'prove my innocence by bringing me back to England'. 'In fact, not even one British intelligence officer has come to interrogate me in my 419 days in a place that's not fit for cats and dogs. I call on them, 'Come talk to me',' he said. The 40-year-old's explanation for being so close to the war zone is that he was given 'a soft heart by God' and wanted to spend a week treating victims of the conflict. Aside from wanting to return to the UK, Raza also said he is sharing a cell with IS fighters, one of whom - a British man - he recognises. He said: 'I'm alongside a guy who I saw in IS territory. He was a feared intelligence officer. He is probably planning my death. She was stripped of her citizenship by the Home Secretary Sajid Javid, but Begum's family have since started a legal challenge against the decision. The UK kept tabs on 900 people who travelled to Syria to engage in the conflict there, the Home Office says approximately 20% have been killed and around 40% have since returned to the UK. He added that nobody hates 'those ISIS head-choppers' as much as he does. He said that if he's allowed home he can help educate people against going to join ISIS and stop them from becoming radicalised. 'But now I see that no help coming, I want to die. For me, death is freedom,' he added.